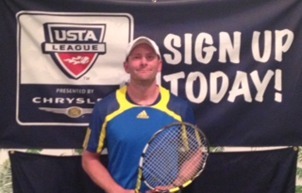 Scott Wlodychak is the owner/operator of Crestmont Indoor Tennis. Scott brings over 30 years of teaching experience. He was the Director of Tennis at the Fairfield Racquet Club for over twenty years and is currently the Head Pro at Crestmont Country Club. Scott was also ATP world ranked and a graduate from the University of Maryland. Scott was the Mens and Womens Head Tennis Coach at the University of Maryland at College Park and the Mens Coach at Seton Hall University in South Orange. 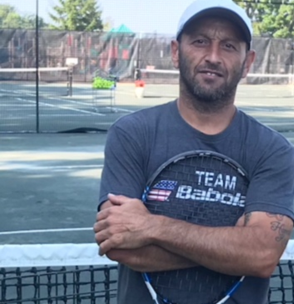 ​ He is in his 14th season of teaching in the North Jersey area and he is a former tennis professional at Fairfield Racquet Club and the current Director of Tennis at The Maplewood Club. Thomas had a great collegiate tennis career at Rutgers University, playing #2 singles and #2 doubles during his senior season. Upon graduation from Rutgers University he became the Women’s Head Tennis Coach, where he coached for two seasons. Thomas is the current coach of a few of the top high school players in the area, some of which have an Eastern ranking with the USTA. He also has 10 and under programs at the Maplewood Club and is a licensed Cardio Tennis Provider. His summer camp at the Maplewood Club has been sold out for 9 consecutive years. When he’s not teaching he still enjoys playing tennis. A USPTA certified professional, he currently resides in New Providence, NJ with his wife, Lisa and 3 kids, Jeffrey, Aaron, and Tyler. Matt Deitch is in his 11th season of teaching full time in the North Jersey Area. He is a former tennis professional at Fairfield Racquet Club where he worked from 2007-2013. Along with being USPTA certified, Matt is PPTA Certified in Platform Tennis, a licensed 10 and Under Tennis Provider and Licensed Cardio Tennis Provider. He is the current Director of Racquets at The Racquets Club of Short Hills and held an Assistant Position at The Short Hills Club from 2012-2014, teaching Tennis, Paddle and Squash, before helping form the Northern Jersey Tennis Academy. Matt played 4 years of College Tennis at Oneonta State College in NY and currently lives in Bergen County with his wife and two daughters. 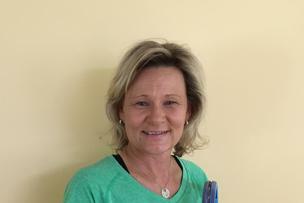 Lisa brings over 25 years of teaching experience to Northern Jersey Tennis. She has taught players of all levels, including nationally ranked Juniors and was a Sectional Director for USTA’s Area Training Center. She was the co-owner of the Indoor Sports Pavilion in Randolph and has been the Director of Tennis for multiple NJ area clubs. As a player, Lisa was a nationally ranked Junior and attended Clemson University on a full scholarship. She was a 4 year ACC Champion with her highest singles ranking in the top 50 and doubles ranking to 13 in the country. Lisa has held world rankings in singles and in doubles. Lisa has become a practitioner of a technique called EFT which uses a combination of acupressure points and cognitive therapy to help athletes reach their peak performance under pressure. Eric Shmerlis is a USPTR tennis professional. Eric brings over 20 years of teaching experience to Crestmont Indoor Tennis. Eric is a former national ranked player, that specializes in junior development/high performance training. Eric has coached national ranked juniors and division 1,2 and 3 collegiate players. 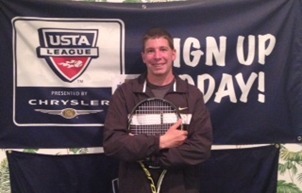 Sergio is a USPTR Certified Professional that brings 25 years of coaching experience to Crestmont Indoor Tennis. Sergio prides himself on his interpersonal, communication, and listening skills. He taught at some of the most prestigious academies in Spain, Equelite JC Ferrero, and ASC Sanchez-Casal in Barcelona. Sergio teaches private lessons, group lessons for both kids and adults and is also fluent in running tournaments and Round Robins.